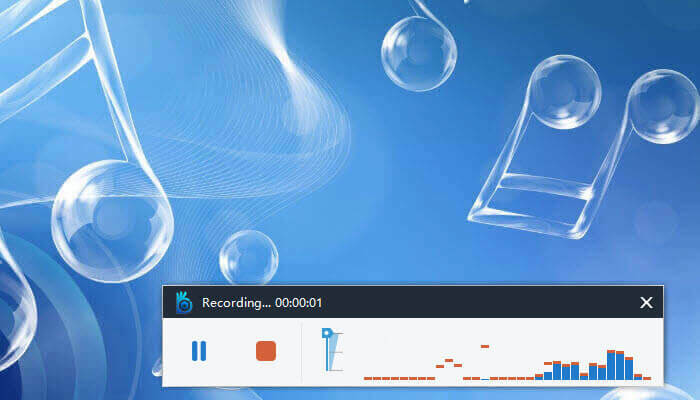 If you are looking for a tool or software that can record screen video and audio activity on your Windows and macOS powered desktop PCs and Laptops, you can’t do much better than AceThinker Screen Grabber Pro. It’s a top best free screenrecorder for all operating systems. 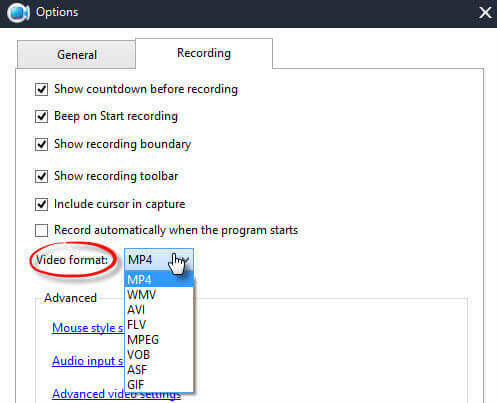 All recorded videos can be saved in the MP4 format. The software has a built-in converter that allows you to convert from MP4 to AVI, WMV, FLV, and SWF, with no discernible loss of quality. The interface is user-friendly, but is also feature rich and flexible. Users can select to record full screen, specific regions or an application window. The webcam can also be recorded to deliver a video-in-video effect. The flexibility offered by these different modes is just one of the reasons why this tool is so popular. One of the best features of this great tool is the ability to record video, as well as sound from either the system or a microphone, or both. Better yet, audio and video can be recorded synchronously, which means users don’t every have to be concerned with both parts being in sync. The software comes with not one, but two powerful editors that let you annotate during and after the recording is complete. The screen recording comes complete with a toolbar that gives you the option to annotate using text, line, callout, and more, and all without ever having to pause the video. It is also possible to import recorded video into the editor where other editing features, such as merge, trim, watermark, and visual effects can be added. 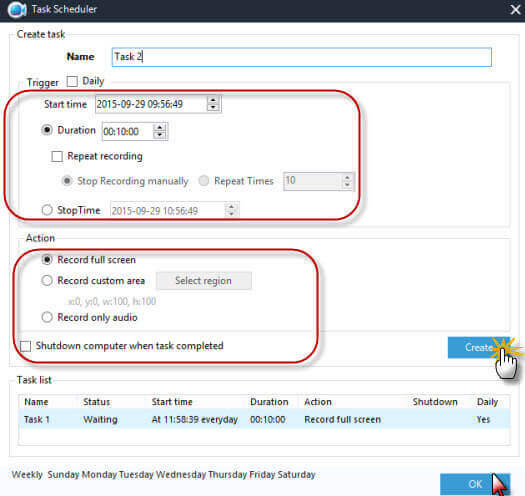 Another great feature found in this software is the ability to create a scheduled task. Not only can you set a time for it to start recording, you can also set the duration. It is now possible to record your screen without ever having to be in front of it. This is perfect for business types who have a webinar that is set for a specific time, but which they are unable to attend. With the conversion tool, you can turn all of your screencasts into whichever format best suits the devices you want to save and share them on. 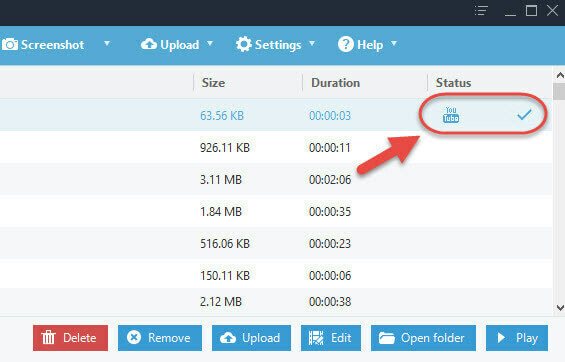 It’s also possible to upload the videos to your company’s server, as all you need to do is pass on the account information. How to Use the Screen Grabber Pro on Windows and Mac? 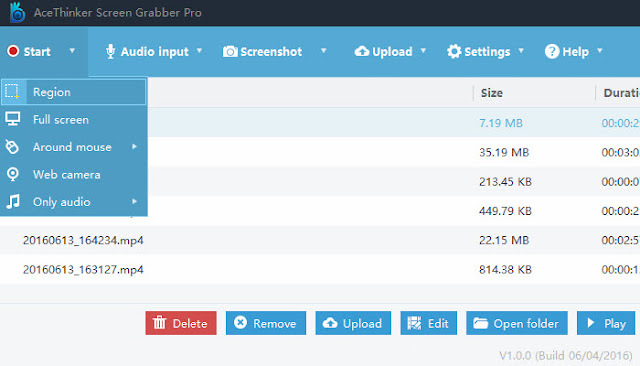 There are 5 distinct recording modes available on AceThinker Screen Grabber Pro: Region, Full Screen, Around Mouse, Web Camera, and Audio Only. Just select the one that you want from the drop down “Record” menu. In Region mode, click and drag the mouse to select the region you want to record, and then release. Upon confirmation, the software will start to record as soon as you hit “OK.” The recording resolution can be set during this process. 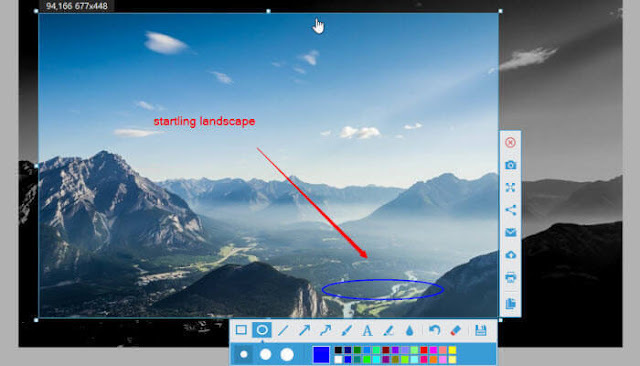 Shapes and text can be added to the video while it is recording by choosing the pen icon, which activates the editing options. It is also possible to pause the video and edit, if that is easier for you. When recording is complete, simply hit “Stop,” and you will see your video show up on the recording list. It will also automatically be saved on your local disk. You then have the option to rename, delete, remove, or upload the file as needed. 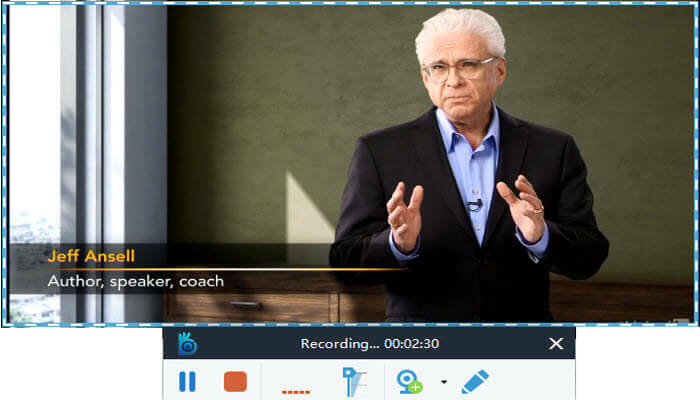 As we said earlier, it’s the most easy to use screenrecorder for all professionals and beginners.